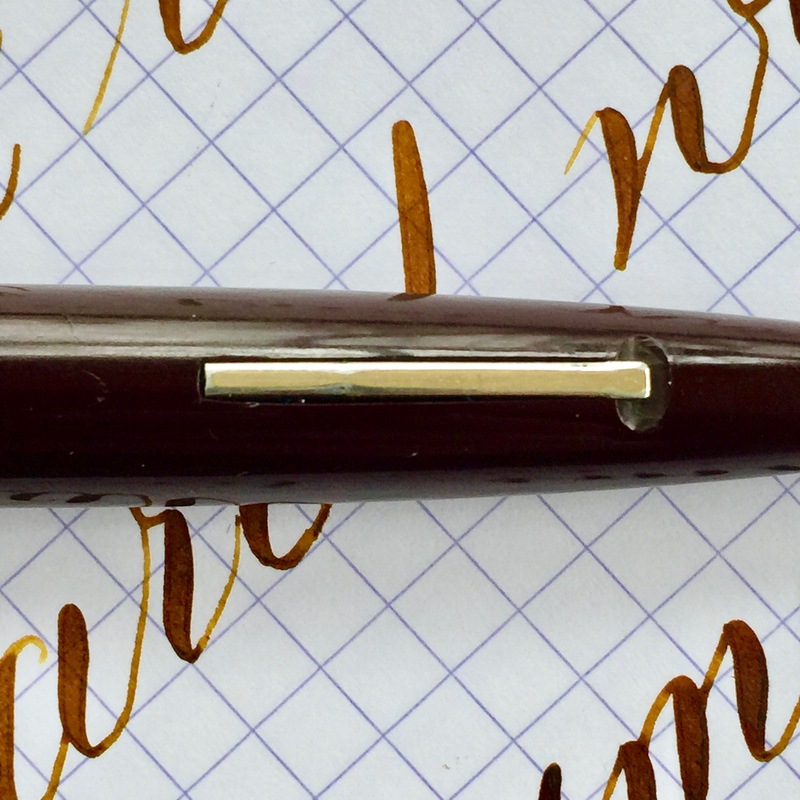 Here is nice standard size Skyline in burgundy with gold-filled cap and trim. 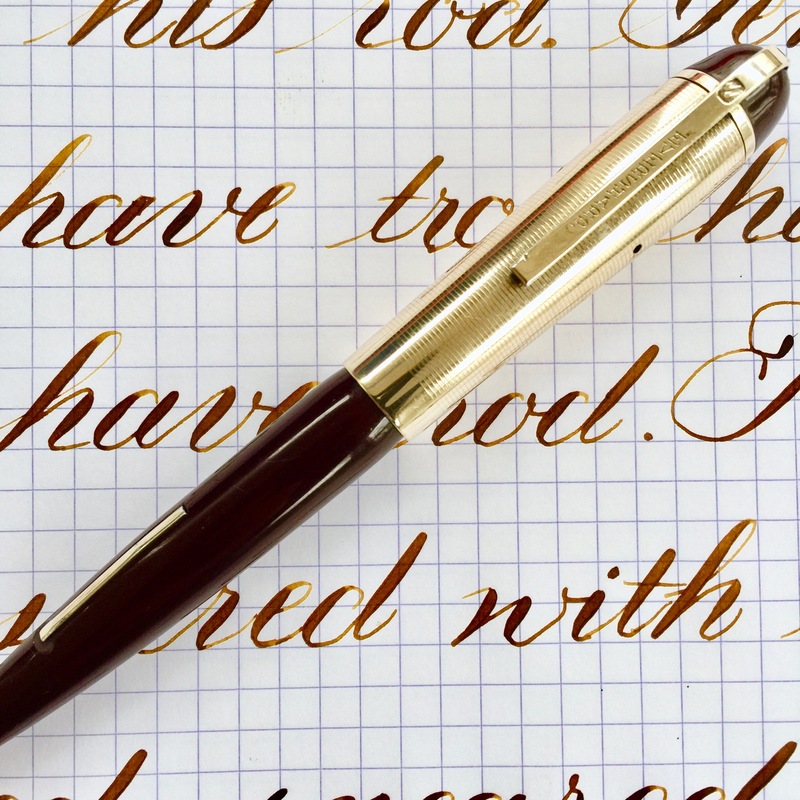 The body of the pen is in good condition. There is some very light scratching from normal use. Nothing major or very noticeable. There are a couple of scratches on the cap as well, but nothing large or very deep or very noticeable. There is no plate loss on the cap or clip. There is a bit of wear on the crown of the lever from posting the cap. There is also a little pin prick dent on the bottom of clip. 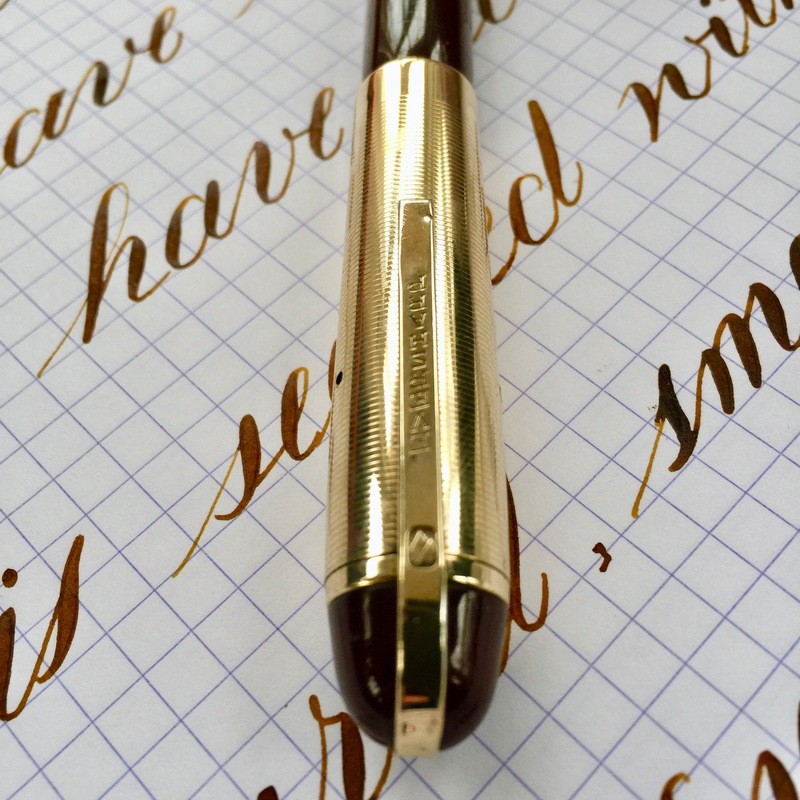 The Eversharp 14kt. 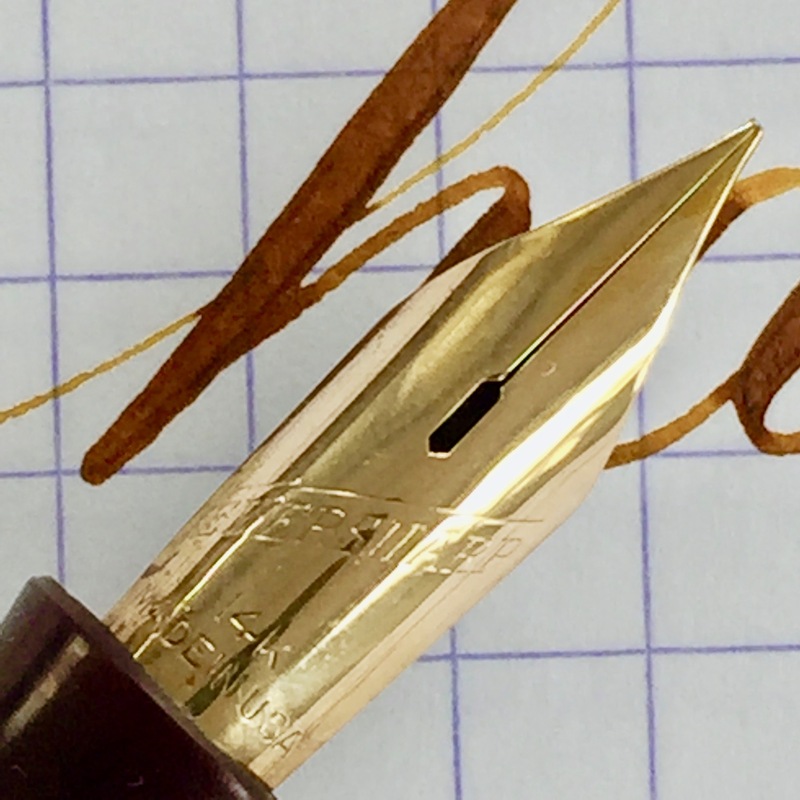 Nib is a pretty wet writing Fine. Not as wet as many of the Skylines out there, but definitely a healthy flow. The tipping is getting a bit worn down but it has enough for to last for a good long while assuming no one goes to town with some sand paper. 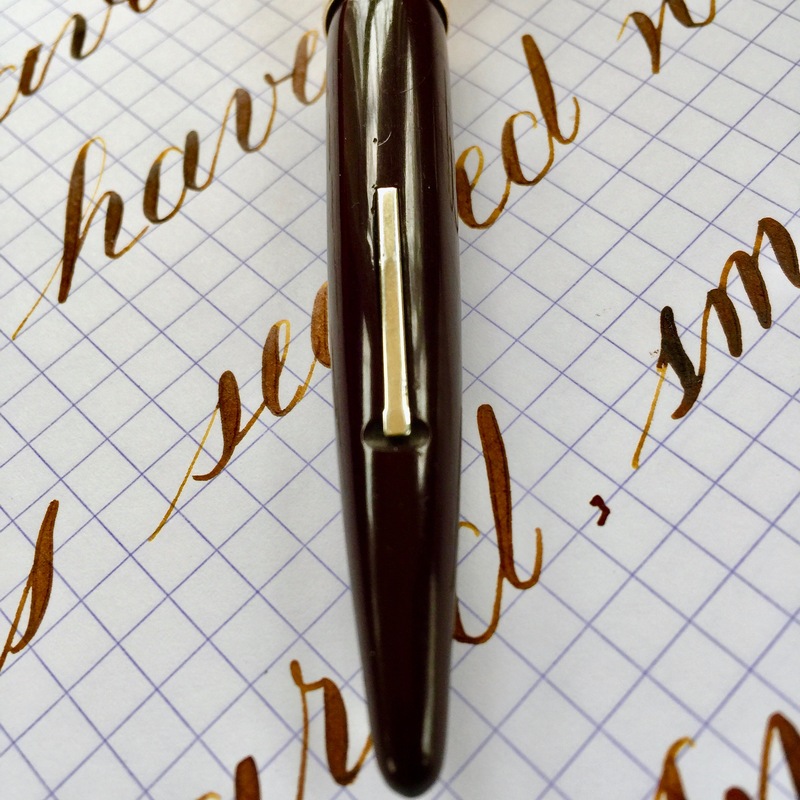 The flex on this pen is very nice as well. 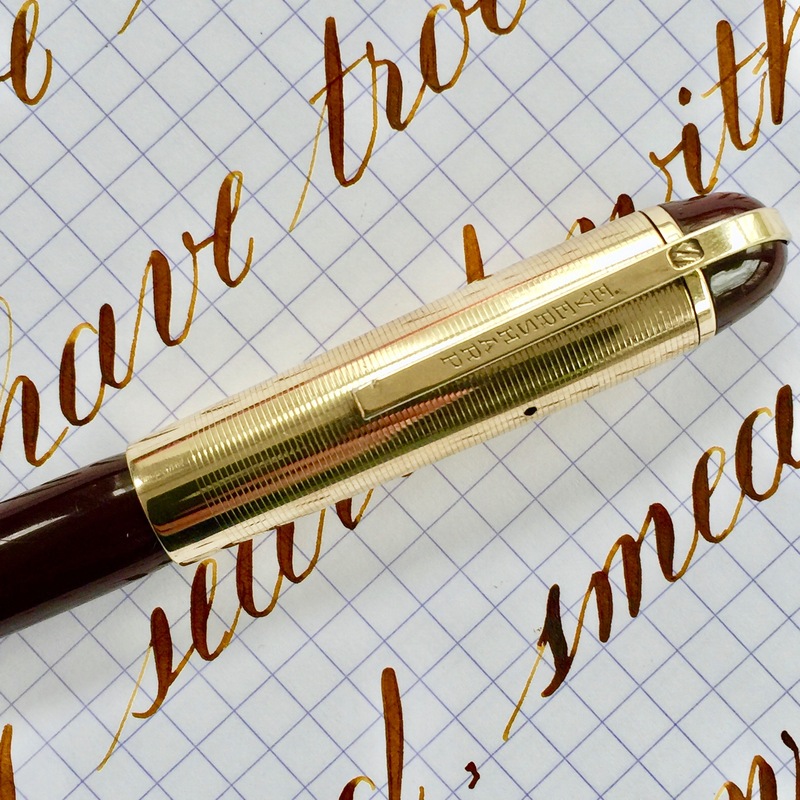 As is the case with most Skyline flex nibs, this is on the firmer side of Super Flex. But it has great range going up from 0.4mm to BBB+(1.8mm), and it has some pretty nice responsiveness. A great Skyline.